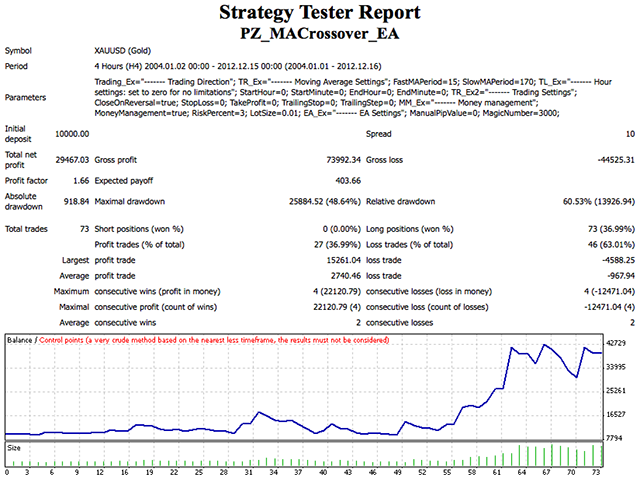 This EA trades using Moving Averages Crossovers. It offers fully customizable settings, flexible position management settings, plus many useful features like customizable trading sessions and a martingale and inverse martingale mode. Trading Direction - Filter trades by direction: long, short or both. 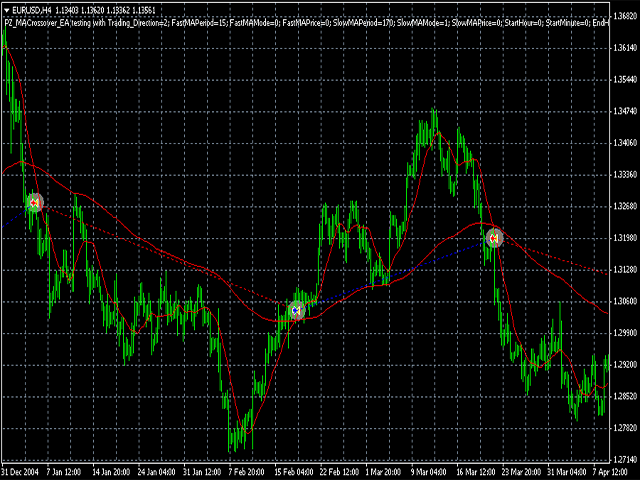 Moving Average Settings - This parameter group holds the moving avearge settings. Session Settings - Enable or disable trading for the Assian, European or American sessions. Money Management -In this settings block you can set the lotsize for the first trade, or allow the EA to calculate it by itself. It also implements a martingale behavior. Entering a manual lot size is recommended. EA Settings -You can select the magic number and custom comment for trades.